As an ethical and responsible organisation ADDults with ADHD aims to ensure that any personal information which is collected and stored by us is handled in an appropriate manner and meets all legal requirements. Please note that we cannot and do not assume any responsibility for the privacy or security practices of any other web sites, or their content, which you may be able to access through our site, or for our customers' level of compliance with our code. When you make an inquiry about our services, we request information such as your name, address, telephone number, domain name, email details of your primary and secondary contacts, We may also ask for your age and gender. 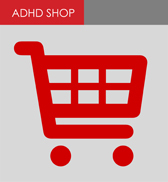 If you respond voluntarily to our surveys or other interactive communications, we collect the responses and use the information to improve the quality and range of ADDults with ADHD's products and services. We collect and use your personal information to operate our web site and deliver our services to you. You may stop the delivery of future promotional email from ADDults with ADHD by following the specific instructions in the email you receive. Instructions on our emails will tell you how to remove your name. We will treat all information we collect from you as strictly confidential. ADDults with ADHD does not rent or lease its customer lists to third parties. We will not reveal, disclose, sell, distribute, rent, licence, share or pass onto any third party (other than those who are contracted or supply services to ADDults with ADHD) any personal information that you may have provided to us unless we have your express consent to do so, other than in the circumstances set out in the next paragraph. (e) in extreme circumstances, to protect the personal safety of users of ADDults with ADHD's services, its web site, our staff or the public. Security features have been implemented in the host's database to protect your personal information from unauthorised access. They maintain their servers in a controlled, secured environment. Only staff who need to have access to your personal information in order to perform their job function are authorised to access the database. Constant changes to the internet and technology mean that they cannot guarantee that data transmission will be 100% secure, or safe from attack by unauthorised intruders. ADDults with ADHD does not knowingly collect, use or market any information to children without seeking parental or a guardian's consent. We also urge you to familiarise yourself with your legal responsibilities with regard to children and the internet.